I'm very excited to have Courtney Allison Moulton here today as a feature for Best I've Read 2012. Wings of the Wicked is the second book in the Angelfire trilogy; it is full of action and romance and everything a sequel should be. Please take a few minutes to learn more about this amazing author! Writing any book but especially a sequel can be a monumental task. Below are Courtney's thoughts on writing WINGS OF THE WICKED. In 2008, I wrote Angelfire for fun during NaNoWriMo (National Novel Writing Month) and when it sold to Katherine Tegen Books at HarperCollins and I suddenly had a sequel to write, I had to take my writing to the next level. I was 23 and drafting Wings of the Wicked helped me to grow up. This manuscript was challenging not only in its twist-riddled plot, but its emotional arc for every single character had so much scope. More than anything, it was a journey for me and my characters. It was an experience. When you’re writing a book, you’re also acting for your characters and it’s a battle to dig into their heads and become them so that you can accurately portray their reactions and validate their motivations. You as the writer make them suffer and suffer with them. There were many moments in which I grew so close to my characters through their soaring highs and devastating lows that I in turn felt like I was riding my own emotional rollercoaster. The story was so packed full of baseball-bat-to-the-face twists and revelations that I could never take a break from being in my characters’ heads. It was relentless and merciless, and I wanted my readers to experience this flight the way I did. I wanted them to feel Ellie’s and Will’s pain as I did. It nearly destroyed my sanity to ensure that. I’ve met a lot of authors who talk about how difficult the second book in their trilogy is to write. They speak of “the middle” and how they know the beginning and the ending of their trilogy, but come to a screeching halt during the middle book. Wings of the Wicked’s story was so strong to me, so unlike what I often hear authors say about their second books. The first draft was 136,000 words. I think my editor may have had a minor aneurism when I turned it in. We cut—and cut and added and cut and cut—that draft down to a 121,000 word final draft. There was so much story to tell and to this day, I mourn some plot threads that readers will never experience because there just wasn’t enough room in the trilogy for it all. I should have written four or five books to get it all right. But a first series is much like a first draft. It’s a first try. It’s a learning experience. 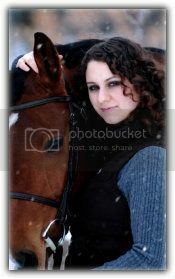 I feel so much more like a competent author and am ready to just kill it with my next series. This book is so dear to me. I love to pull a copy from my shelf and to re-read chapters, to relive the experience all over again. 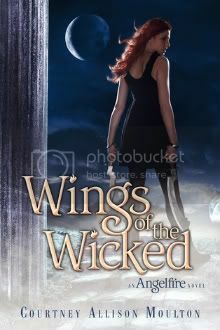 Wings of the Wicked is by far the darkest of the Angelfire trilogy, though perhaps not as dark as the prequel novella A Dance with Darkness which is about Madeleine’s and Bastian’s affair. The final book Shadows in the Silence has its share of brutal moments, but much of it is a very fun globe-trotting adventure like an Indiana Jones movie. Even though Wings of the Wicked was so difficult for me to write emotionally, I’ll always be grateful for the journey. That manuscript taught me how to be a writer. Harper Teen, the publisher of WINGS OF THE WICKED, has donated several great books that are being given away in several prize packs. You don't want to miss out on a chance to win these titles! Today the Best I've Read blog is featuring BLOODROSE and RIFT by Andrea Cremer and OBSIDIAN, ONXY, PURE, and DEITY by Jennifer L. Armentrout! Please click here to learn more about these books and authors!